X-Cart is an open source commercial shopping cart distributed through the SaaS solution, or via download package.Written in PHP scripting language, X-Cart offers a wide range of features and benefits that has made it the most sought after e-commerce solutions. X-Cart software offers integration with shipping carriers. Further addition of X-Payment module, makes it PA-DSS certified and offers support for 39 payment providers in addition to the 14 in the basic package. Installation of X-Cart software is hassle-free. You can get it done with a single click using Softaculous in your control panel. You get notified through email if a new version of X-Cart becomes available. By updating your X-Cart software, you’ll be able to get the latest features. Ithelps your businessto develop your website as per your business needs and as you wish your online store to be. Irrespective of the size of the business you run, X-Cart is capable of handling all your needs efficiently. X-Cart hosted websites run smoothly, and are highly efficient and extremely reliable for the customers and for the owners of the websites as well. There’s no worry about shopping cart going down or facing problems when the need is the most. Shopping carts hosted on X-Cart softwareoffers great security and privacy to the customers. Further addition of X-Payment module, one of the highest secured shopping carts, make your shopping cart immensely secured. Your shopping cart hosted on our fine-tuned turbo fast server platform gives you multi-fold page load speed than most of the service providers. Dialwebhostingis an award winning datacenter having servers located at different geographical locations for the best performance.We take care of all your hosting needs so that you can focus on your core business activities. We own teams of highly experienced, skilled, professional and friendly hosting experts and technical support. Having any query or trouble, you can get in touch with our technical support 24X7X365 via either phone or e-mail for best solutions. DialWebHosting owns Tier III data centers and guarantees fastest speeds and maximum uptime (99.9%) at affordable prices. X-Cart hosting with DialWebHosting as your hosting solution provider is the best combination for your shopping cart. So why wait? Call us@our Toll-free no. 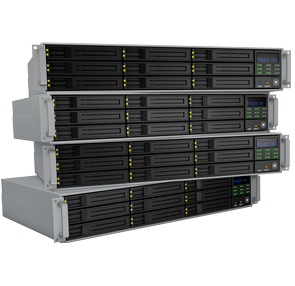 …..to get the best hosting solutions at competitive prices !